Created and Submitted by user, Violet Valencia. Thank you for contributing Shiina's Good Confession Route! -Try to have random events for Shiina occur and boost her, "friend up!" What this means is that you have to pass each review level withShiina leading the project. 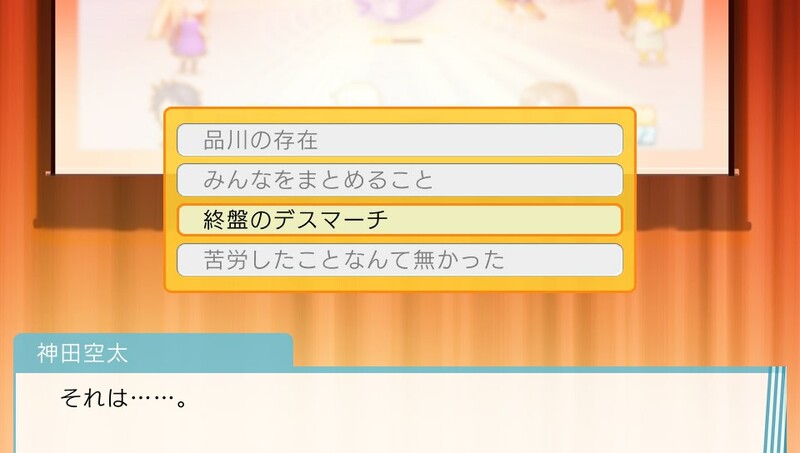 To do this for Shiina, you would have to research ALL of her requirements so a red star can appear. It is normally locked until you have completed this step. KEEP THIS IN MIND! All of your staff members can only focus on ONE design you have created for them. So while you are waiting for Shiina's part to be finished, it would be best to research the others too until Shiina is finished and ready for the next task. Be sure you choose the 4th option. 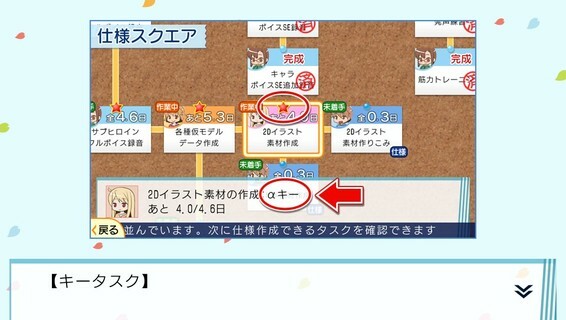 -If Shiina is to become sick while working, try to get her to 4 bars of motivation at most to catch up on her work. There's 4 choices to choose from. You may choose any option, but it is best recommended that you choose the 3rd option. Now, there should be a lot of dialog until you notice that Shiina runs off. Sorata then, asks Otoha where Shiina went. If you get this cutscene, then you are still on the right track. Image Submitted by Violet Valencia. Now 3 choices appear. 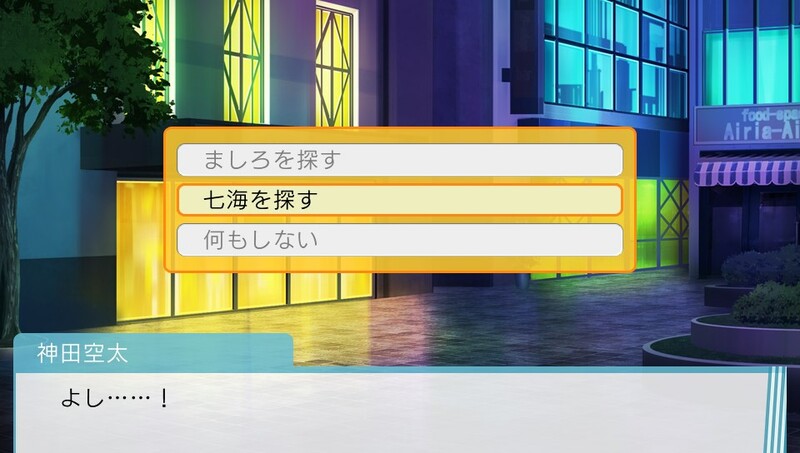 If you feel confident that you have made your way this far to get Aoyama's confession scene, choose the middle option. If you feel like you do not want Sorata to confess to Aoyama, EVER. 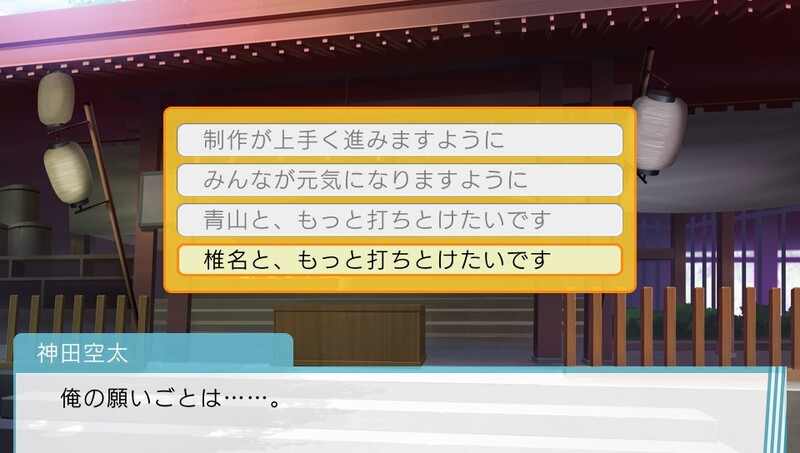 and want Shiina's confession scene with your hard work finished, choose the 1st option. There should be the cutscene shown on your PSP, PPSSPP, VITA, or whatever program/console you are using to run Sakurasou No Pet Na Kanojo VN. ﻿There's also a "secret" scene of Sorata and Shiina are officially together as a pair. -Shiina's Voice Actor Audio Recordings and her small commentary. This ends the guide of unlocking Shiina's Good Confession.